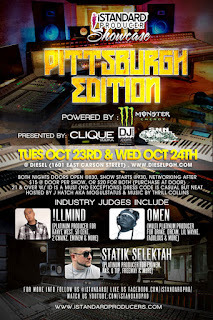 The nationally renowned iStandard Producer Showcase returns to The Steel City on Tuesday, October 23rd and Wednesday, October 24th at Club Diesel – Powered by Monster Energy, and Presented by Straight-N-Narrow Productions, Clique Vodka, and DJ Ground. 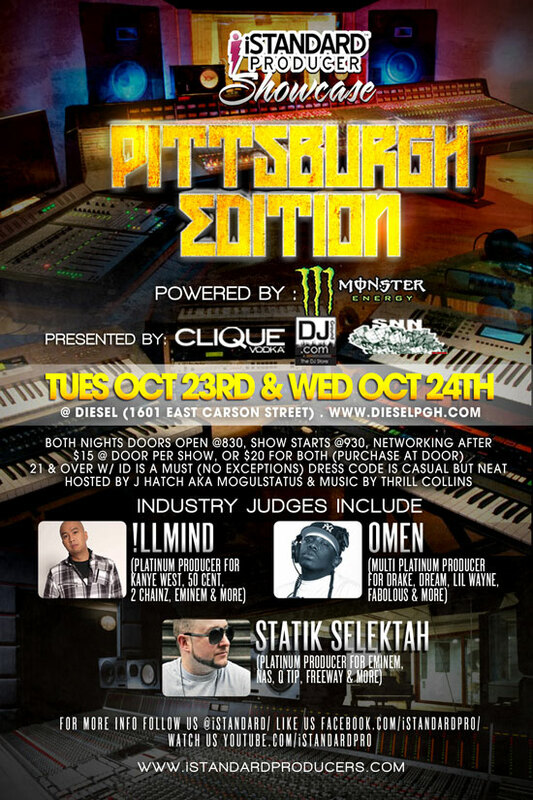 Over the course of 2 evenings, 20 of the Pittsburgh Area’s finest producers will showcase their tracks in front of a panel of career changers and mentors. 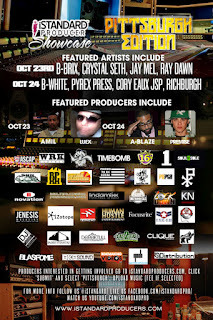 Winner with the highest score will receive a prize package consisting of IK Multimedia iOS Products Valued at Over $1000 - iRig Microphone, AmpliTube iRig, iKlip, iRig MIDI, iRig Mix, BKE’s BTVSOLO by Dallas Austin, Indamixx Pro Portable Studio, 101 Distribution Professional Set-Up – $499.95 Value (Click “Pro” Tab), iZotope’s The T-Pain Effect, a Soul II Sole T-Shirt, a Lifetime Subscription to iStandardProducers.com, promotional gear from Monster Energy, and more! 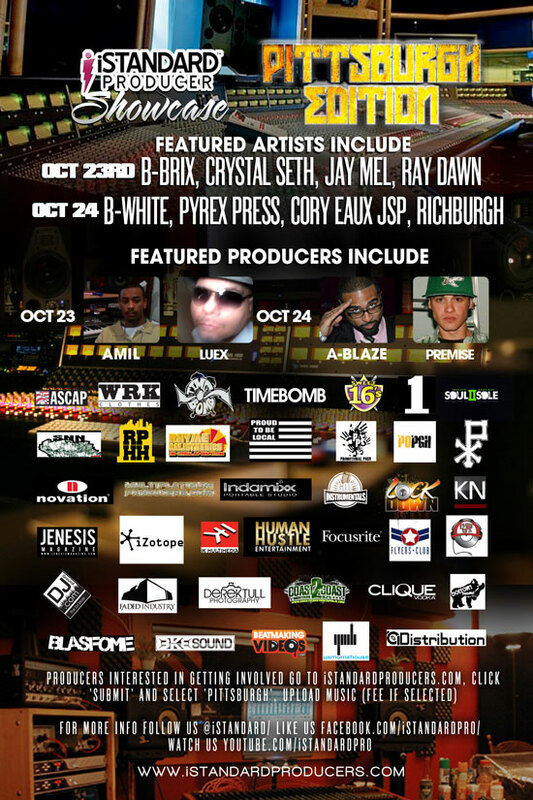 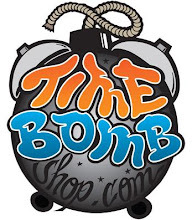 So far judges include Multi Platinum Producers Statik Selektah (Eminem, Q-Tip, Freeway, Nas, and more), Omen (Drake, Lil Wayne, Fabolous, Ludacris, and more), !llMind (Kanye West, Pusha T, SkyZoo, Eminem, and more), with more to be announced.